Dr Michael Lange and Lange Eye Institute throw 12th annual Fall festival. Ophthalmic Blue Guard lenses are the biggest technological marvel of the century! 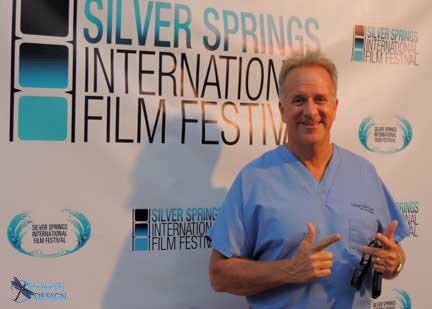 Dr Michael Lange at the International Film Festival doing a TV interview on anti aging. Anti Aging is now a really hot buzz word for the right reason! Lets face it we don’t want to get old! Anti Aging medicine is a rapidly growing segment of health care and everyone wants a piece of it! Dr. Michael Lange discusses some natural ways to help slow down Father Time. If you want to slow down the clock and even reverse Father time u must exercise. Exercise is good for you, it helps you manage your weight, improve muscle tone and bone density and even helps to lift your spirits. Exercise makes u look good and feel good! Good fitness will increase longevity. New research actually shows that people who exercise have younger DNA. People who exercise 3 hours a week have longer telomeres (end cap of chromosome). Short telomeres increase the risk of age related disease. Exercise has been proven to slow down the rate at which the telomere shrinks. This is exciting news that we have the ability to slow down aging by exercising. Dr Michael Lange preaches this through out the week on his syndicated talk show called “Ask the Dr”, that can be heard all over the country. When exercise is combined with proper nutrition and the right amount of sleep amazing things can happen to the human body and mind. Exercise is a crucial step of anti aging. We should all try to get a minimum of 20-30 minutes of aerobic cardiovascular exercise five days a week. Before starting an exercise regiment have a physical with your PCP making sure u are ok to exercise. Try to get your heart rate over 100 bpm for this amount of time. It is even better if you can do this activity out doors in the sunshine. Regular exercise and being outdoors has been shown to improve health and well-being. I also recommend another 20-30 minutes of resistance training five days a week. This can be calisthenics or weight lifting. Exercise releases stress, improves circulation and releases natural body beta endorphins. Try not to exercise three hrs before bed because it can interfere with your sleep. I also recommend doing outdoor sports and activity as much as possible. Many out-door activities I recommend are rowing, sculling, kayaking, Tennis, Soft ball, Mountain Biking, Road Biking, Water skiing, snow skiing, hiking, baseball, basketball, volley ball, racquet ball, swimming, soccer etc… Make sure to wear the appropriate safety/ protective gear for each sport! You must find the time to exercise if you really want to maintain and even improve your health. Health aging is in your control. Proper Diet will improve your health and well-being. Eating the right foods and avoiding the wrong foods is anti aging 101 . God designed an incredible body that performs extremely well when the proper fuel is given. I recommend consuming a modified organic gluten-free paleo diet. Organically grown fruits and vegetables should be the largest portion of your meal and then a good organically raised source of protein like eggs, chicken, turkey, wild cold water fish , grass-fed bison or beef. Stay away from all genetically modified, processed, canned, frozen foods. I recommend trying to consume 9-10 servings of organically grown fruits and vegetables a day. Some of the best fruits and vegetables to consume are : Kale, Spinach, swiss chard, Broccoli, Orange and red bell peppers, avocados, cauliflower, Brussel sprouts, apples, oranges, cabbage, grape fruits, blue berries, cherries, grapes, bananas, pomegranate, black berries, raspberries, pineapple, asparagus , watermelon, squash, strawberries, artichokes and mushrooms. Drink plenty of good spring water and stay away from distilled or reverse osmosis water. I don’t like purified waters because the minerals have been leached out and they are very acidic. However if u have an Reverse osmosis system you can make the water healthy by filling up a glass container with the RO water and then putting a half teaspoon of pink sea salt and chop up a few fruits and vegetables into the water and let it sit at room temperature. This process will alkaline the reverse osmosis or distilled water and replenish the minerals. You can eat organic brown rice or some quinoa a few times a week with this diet. Use extra virgin coconut oil and virgin olive oil for cooking. I prefer the coconut oil due to the anti aging properties of the medium chain triglycerides and lauric acid that are present in extra virgin coconut oil. Drink a few glasses of organic green tea a day and stay away from sugar-free or decaffeinated drinks. Drinking A2 cows milk , goats milk, hemp milk, coconut milk, almond milk, rice milk is all ok a few times a week. I also think men over the age of forty should drink some organic pomegranate juice every day for prostate health. To aid in digestion using manuka honey as a sweetener is a great idea and I recommend eating some fermented food like sauerkraut, kefir, yogurt and miso soup three to four times a week. Snacking on seeds and nuts and goji berries is also a great way to get some extra protein and antioxidants. Try to eat five small meals a day and don’t eat anything 3 hrs before bed. A great way to get your fruits and vegetables during the day is to either juice them or make a smoothie. Food is medicine! Supplements definitely have a role in anti aging. In todays hectic busy lifestyle most of us do not have the time to shop, prepare and eat 9-10 servings of organically grown fruits and vegetables. Therefore I recommend everyone taking a good multivitamin to help combat against free radical damage and oxidative stress. The problem is most multivitamins you can buy over the counter are filled with synthetic dyes, synthetic nutrients , trans fats and only have very small amounts of the beneficial nutrients. I developed a Multivitamin called Fortifeye Complete Once Daily that has no dyes and only all natural levels of true evidence based nutrients to help fight against free radical damage in the body and your eyes. I also recommend Omega 3 from fish oil should be taken by everyone at any age young and old. Most of us are omega 3 deficient and this is one of the root causes of inflammation in the typical American body. Most Americans are eating a pro imflammatory diet high in saturated fats and omega 6 fatty acids that are creating many unwanted health issues. I recommend adding about 1600 mg of Triglyceride form omega 3 fish oil to everyone’s diet that is over 170 lbs and about half that if you weigh less. You must read the labels and make sure it says triglyceride form omega 3 fish oil label. If it doesnt say it then it is an inferior less bio-available form called ethyl ester omega 3 fish oil. 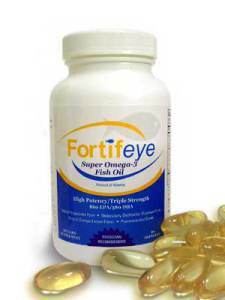 I have developed one of the most potent and purest triglyceride form omega 3 fish oil that is now being used by 1000s of doctors and people all over the world called Fortifeye Super Omega. I developed this so my patients would have a cost effective evidence based omega 3 supplement available to them that delivers a therapeutic dosage in only 1-2 gel caps. Many studies have proven that omega 3 has tremendous health benefits. Recently studies have shown that omega 3 can actually slow down the rate at which the end cap of a chromosome called a telomere shrinks. Omega 3 fatty acids may actually slow down chromosomal aging. I recommend taking one dosage right before bed or better yet if you wake up in the middle of the night to go to bathroom take your fish oil then. The omega three produces resolvoins and protectins at a maximum level at four hrs after ingesting and this ideally will be at the highest levels first thing in the am when u wake up, this is the time that people are more prone to strokes and heart attacks. So in theory if the omega 3 is at its highest concentration in your blood when u wake up it may decrease the chances of a heart attack or stroke in the am. Another powerful anti aging nutrient is called astaxanthin. This is a carotenoid in the xanthophyll family that gives the reddish color to wild alaskan salmon. Astaxanthin has both potent antioxidant and anti inflammatory effects that makes it a perfect nutrient for any anti aging recipe. I developed a supplement called Fortifeye Focus that has 6 mg of astaxanthin along with two other beneficial carotenoids called lutein(10 mg) and zeaxanthin (2mg) that are great for the eyes and the skin. This supplement may help improve the focusing ability in the eyes and patients also notice improved skin health and less wrinkles in the face. As we age the master antioxidant in the body called Glutathione starts to decrease and it can be very difficult to get rid of a glutathione deficiency. I have found that using a scoop of undenatured whey protein concentrate once daily in a smoothie is a great way to stimulate glutathione production. I recommend mixing some organic berries , pineapples , kale or spinach with a scoop of undenatured whey protein concentrate to boost glutathione an get a great source of protein and antioxidants. I use either Fortifeye Super Protein or Fortifeye “Naked” Super Protein non denatured whey protein concentrates. Everyone at any age should have their blood tested for Vitamin D levels. Vitamin D deficiency is a very common deficiency that can lead to many health issues if not corrected. I do recommend a half hr of sun four days a week without any sunscreen for fair complexion people and maybe 45 minutes of sun four days a week for darkly pigmented people. The sun is a great source of vitamin d. Do not stay out long enough to get burned. After being exposed to the sun do not wash your body with soap for at least six to eight hrs. The soap will wash away the oils on the skin that are allowing the vitamin D to absorb. Many people who can not get sun exposure or live up north during the winter months will need to supplement with Vitamin D 3 anywhere from 1000 ius – 5000 ius daily depending on how deficient your Vitamin D test is. I recommend seeing your physician for this blood test and then following the doctors recommendation on Vitamin D supplementation. Many women and men may need to take a calcium supplement depending on what their bone density scan shows. People must be very careful buying large amounts of over the counter calcium supplements . Too much calcium may actually cause calcification of the blood vessel linings and increase ones risk of a stroke, heart attack or an ocular occlusive event and macular degeneration. New studies are suggesting taking a form of calcium called hydroxyapatite combined with either iprflavone or strontium along with Vitamin D3, magnesium, vitamin k, phosphorous and boron to maximize the absorption of the calcium into the bone and minimize the potential complications. I like a product made by Douglas labs called Osteo -Guard Plus Ipriflavone. I also recommend after the age of 50 taking a good enzyme with all cooked meals and a probiotic right before bed on an empty stomach. Fortifeye Vitamins has a new generation enzyme and probiotic now on the market that I recommend ( Fortifeye Digestive Enzymes and Fortifeye Probiotics Bacteria) . Finally I recommend anyone that follows my protocol to have a spectracell blood test done four to five months after starting this anti aging regiment. This is a blood test that will look for any nutritional deficiencies at a cellular level and also look at many other important blood chemistries. There are many other good supplements that one can take but I wanted to cover the basics in this introduction to anti aging. 3. Proper amount of Sleep may be the most important step in anti aging. Most Americans are sleep deprived ! Many people give up sleep for play and work. An adequate amount of sleep is as important as adequate amount of exercise. I recommend between 7-9 hrs of sleep for everyone. Chronic sleep deprivation interferes with metabolism and can cause cortisol levels to rise. This creates an inflammatory cascade, weight gain and a whole host of other diseases. Heart Disease, diabetes, obesity and poor brain functioning are all linked to sleep deprivation. If you have trouble sleeping try turning off the tv and reading a book (paper back not kindell) an hr before bed. Make your bed room as dark as possible and unplug any electronic devices in the room, put black electrical tape over any led lights on alrams or fire detectors. Turn down the air conditioning to around 70 degrees. Do not watch tv or use any electronic devices one to two hrs before bed if possible. The tv, computer and other electronic devices will actually tell the pineal gland to decrease the secretion of melatonin and it will interfere with your sleep. 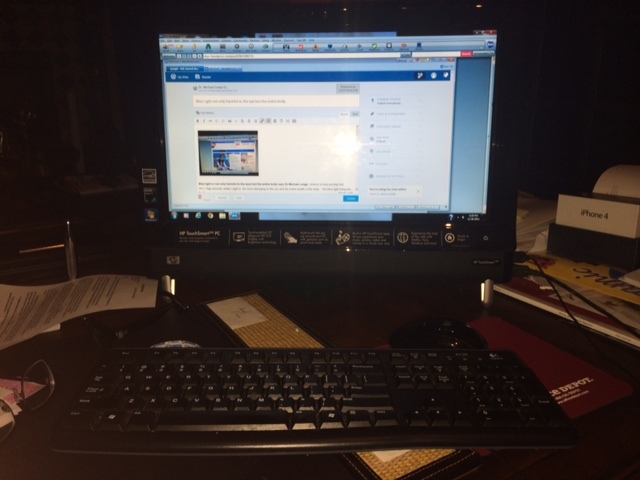 If your current lifestyle dictates that you must still work on the computer or watch tv in the evening then I recommend purchasing either blu tech lenses ,crizal prevensia , Viso Prevencia or a Brand new exclusive thru Lange Eye Care, Blue Light Defense lenses. These lenses have blue light filtering properties. If we filter the blue light that is emitted form the computer, television , indoor lighting, portable tablets etc then the pineal gland will not stop the normal secretion of melatonin. Prolong exposure to blue light is a root cause to accelerated aging in the eye and the entire body. I recommend these lenses to all of my patients for their computer glases and often times on their every day pr of glasses as well. The Blue Light Defense / Blue Light Shield is a lens that blocks 99% of the harmful blue light at specific waves over 400 and is totally clear! These new blue filtering lenses will help to stop the lowering of melatonin production at nite and help sleep. New science indicates that lower melatonin production will increase risk of certain cancers. WOW!! Think about it a lens that will decrease eye strain, decrease eye aging , improve sleep and may prove to lower risks of certain cancers!! Everyone needs these! A hot bath with a pound of sea salt or 2 cups of Epson salt while reading a book will aslo help you relax and promote a good night sleep. Laslty drinking organic tart cherry juice and eating a handful of pumpkin seeds 2 hours before bed may also help stimulate natural production of melatonin and improve sleep. If you have the desire and the dicipline to follow the steps I have outlined you will begin to feel better and look better! Think positive thoughts, smile and be happy ! Remember Rome wasn’t built over night, give these lifestyle adjustment steps a minimum of four to six months before you go back to your old ways. Trust me you will adopt this as your new way of living! Welcome to the ANTI-AGING ZONE! Dr Michael Lange discusses omega 3 and dry eyes. Dr Michael Lange discusses Omega 3 for dry eyes. Dr Michael Lange has been involved in nutritional eye care for over 20 years. He has also been involved in Research and Development of nutritional supplements for the eye care industry. Dr Michael Lange is an Optometrist as well as a Certified Nutritional Specialist and he is the founder of Lange Eye Care and Associates and Fortifeye Vitamins. On a daily basis he discusses nutritional supplementation, dietary changes and life style changes to his patients with macular degeneration and dry eye syndrome. The typical patient Dr Lange sees is 78 yo with macular degeneration, glaucoma, dry eyes and a host of systemic illnesses. Dr Lange sees remarkable improvements in ocular health and general health once his patients make these changes he discusses with them. Dr. Michael Lange Optometrist and certified nutrition specialist founded Fortifeye Vitamins over 10 years ago. Dr. Lange is involved in nutritional research and stays abreast of all the latest changes in the industry. He recently researched and developed the latest in nutritional therapy for Macular Degeneration; Fortifeye Zinc Free Macular Defense. This supplement was developed after recent studies were released proving that almost half the patients with specific genotype for Macular Degeneration were harmed by taking zinc. A few years earlier studies indicated that beta-carotene in a supplement blocked the absorption of lutein and thus was potentially bad for the macular. Dr. Lange’s vitamin company, Fortifeye Vitamins, was the first in the industry to take all beta carotene and zinc out of their vitamins. A DNA test for Macular Degeneration is the only way to know whether it is good or bad for the patient to take zinc. The Macular Risk DNA test is available through Optometrists and Ophthalmologists to find out if a patient needs to be taking a zinc free eye vitamin or not. . Dr. Lange is a pioneer in the new evolving arena he calls genotype directed nutritional therapy for macular degeneration. Every patient has a different DNA and therefore everyone treatment plan must be a little different. Dr. Lange uses weight, age, disease entity and now DNA into consideration when making nutritional recommendations for his patients with macular degeneration. 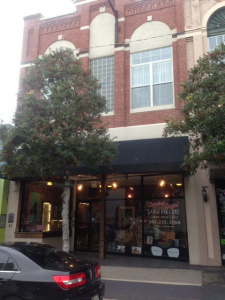 Dr Michael Lange expands Lange Eye Care in Ocala. Lange Eye Care Uptown Optical Gallery. 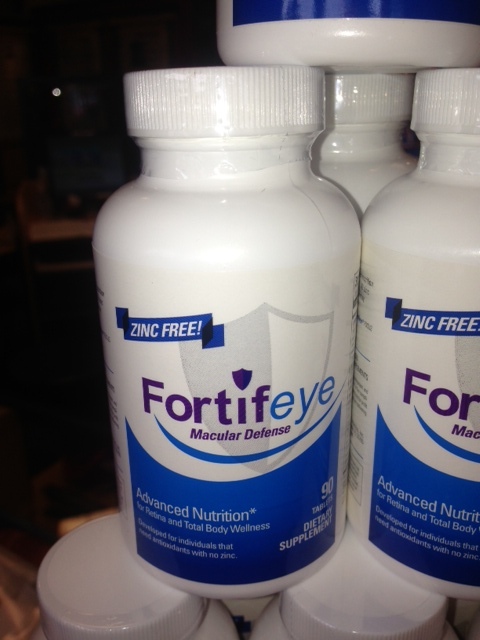 Dr. Michael Lange and Fortifeye Vitamins released for sale Friday November 8th the all new Zinc Free macular Defense vitamin for macular degeneration. This is a line of genotype directed nutritional supplements developed by Dr. Michael Lange under the Fortifeye label. This will be recommended by optometrists and ophthalmologists for their patients after they have a DNA test proving they need to be taking a zinc free supplement for macular degeneration. Dr. Michael Lange recommends a DNA test called Macula Risk. This article was inspired and developed through a collaboration with Cole Millen. 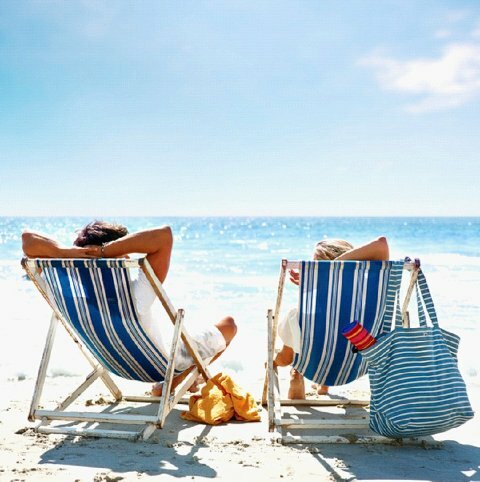 Vacations, for most people, is their closest brush with high living, so it’s natural that your diet will suffer from a bloat of cholesterol raising, belt bursting high-calorie food. Hey, it’s summer, right? A brisk walk down the boardwalk will make everything okay. Unfortunately, the exercise you get on vacation solves nothing. The inevitable pitfalls will jump up and bite you. You’ll face this while on vacation: The food at the airport and on the plane looks delicious. The food your hotel and area restaurants serve pushes the crave button. To counter that, let’s add one more: The food you eat at home. Let’s get that one out of the way fast. At home, you eat healthy all week long and maybe you allow some flexibility on one weekend day, but no more. You look great the first day of your vacation. Don’t return home after looking like the Hindenburg. Eat healthy before you arrive at the airport and you may avoid food most of the trip to your destination. If you do get hungry on a layover, search only for healthy foods. If your strict habits at home are sound, this test won’t be the one you fail. Any time you have the opportunity in airports, take the stairs or walk down the sidewalk — any exercise you sneak in is important. Airports are big places and walking exercise should be a breeze. Consider bringing healthy snacks like trail mixes you can carry in your pocket and snack on that during the trip. Having these at your disposal will prevent you from splurging on the closest thing. Michael Lange OD, CNS a popular nutritional talk show host called “Ask the Dr” recommends taking a bag of goji berries and a good triglyceride form omega 3 fish oil when you travel. The omega 3 helps improve the absorption of the important vitamins and minerals in the Goji berries. The combination of these two super foods helps to curb your appetite and improve circulation. Before you embark on your adventure, research the area you’re going to for healthy restaurants as well as hotels. Pre-planning means your eyes are wide open long before you arrive. This kind of proactive planning can save you inches from your waste line. A good sign that a restaurant has healthy selections is the presence of a large menu. A large menu means a varied menu. The presence of salad bars and fish entrees is definitely a plus. From the hotel perspective the more amenities that are offered the better. Make sure the hotels and restaurants you choose can allow you to maintain your healthy lifestyle while you’re away. Often times this research can be difficult due to the misleading information being pushed out by businesses to bring in customers. This is why I have switched to consumer reviews as my source of information. I recently took a trip east for a Rex Sox game and found a great site called Gogobot that offered reviews regarding the hotels as well as restaurants. I pulled up a list of reviews for Boston hotels and was able to read the reviews regarding the amenities and offerings as well as on all the restaurants in the nearby area. This made it easier than ever to plan out my trip and ensure that I could remain healthy along the way. When you arrive at the hotel, the diet will get more challenging. Hotel food and restaurant food regularly duke it out for highest calorie/cholesterol awards. Ask for healthy alternatives to offerings like sugar-sprinkled French toast, eggs Benedict, lumberjack omelets and Belgian waffles. They pack a continental breakfast with fresh fruit. Go for that. Shop nearby food stores for stuff you can consume in the hotel like low fat yogurt and cereals. Carry along a small crock-pot to fix healthy meats and rice in the hotel room. At the restaurant, look for healthy sides and stock up at the salad bar on darkly colored vegetables. Avoid high calorie condiments. If fruit is available, opt to eat an orange or an apple rather than cheesy breads. What’s great about restaurants are the choices they offer. With a little discipline, you can eat healthy at a restaurant. If you see little or no opportunity for healthy food choices, you’ve chosen the wrong restaurant. Bring vitamin supplements along so you’re not missing nutrition. A healthy diet will help you maintain a healthy outlook. That’s important when you’re on vacation. This may seem overwhelming at first, but as you practice it you’ll find it becoming routine and easy. This will ensure that you will come back from your vacation feeling as great as the day that you left. Glutathione is crucial for good ocular health as well as overall health. an Interview with Dr. Michael Lange discussinig the benefits of astaxanthin. Buy Contacts Lenses Cheaper than anywhere in the country. Buy Sunglasses online and get a free pair. Dr. Michael Lange and Dr Cathy Dau discuss nutrition in detail on Dr. Langes daily radio show. One of the top eye vitamins on the market. The Lange Eye Institute for cataract surgery in The Villages. The latest in nutritional supplements for the eyes and complete body.